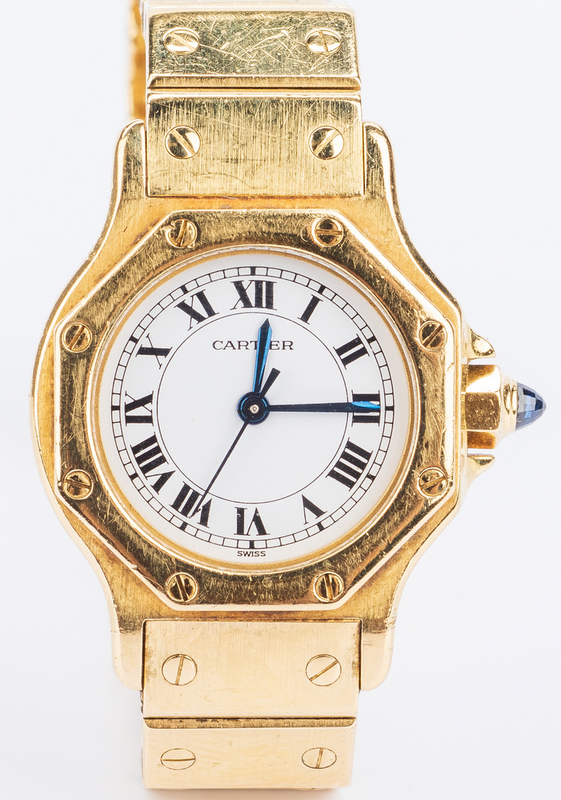 Lot 40: Cartier Lady's 18K Santos, 82.6 grams t.w. 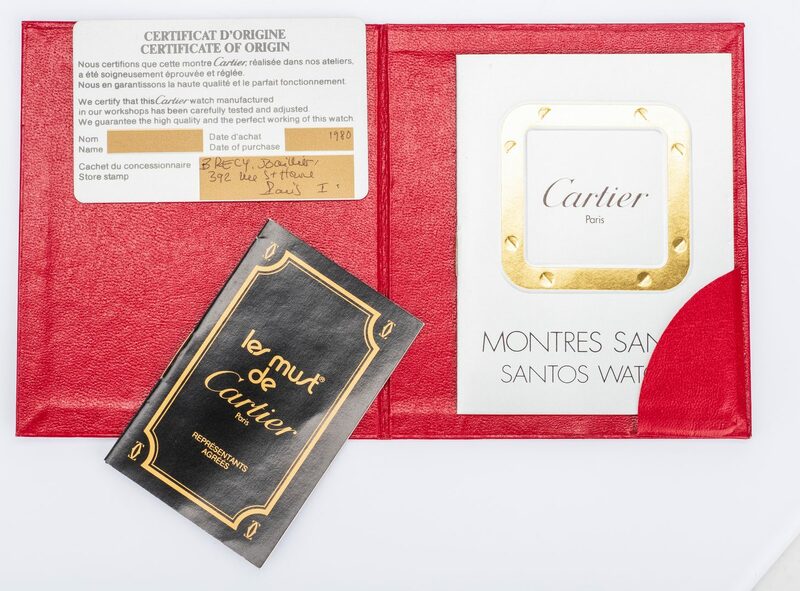 You are here: Home >> July 14, 2018 Historic Summer Fine Art and Antiques Auction >> Lot 40: Cartier Lady's 18K Santos, 82.6 grams t.w. 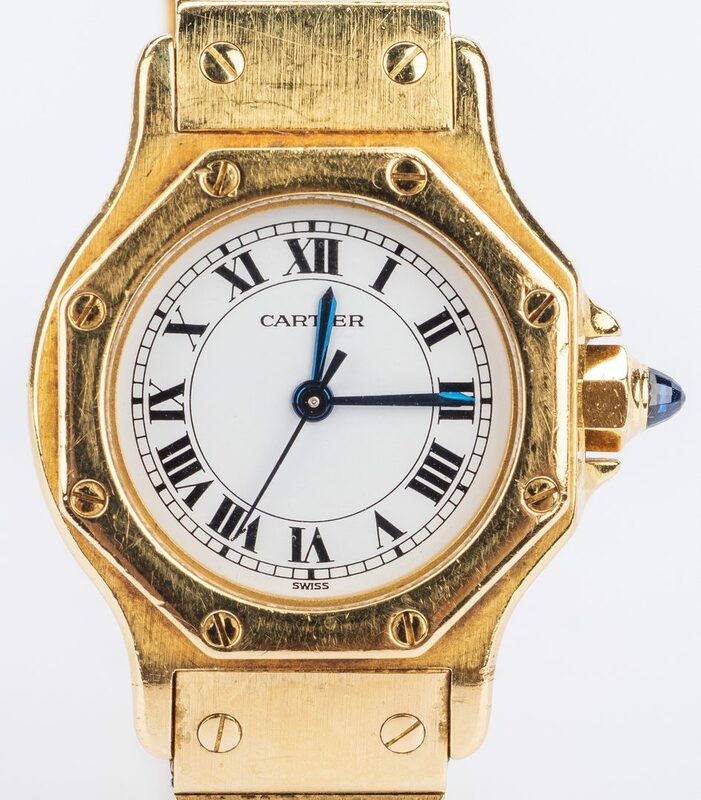 Cartier Santos 18k yellow gold ladies watch, Automatic movement, number 090600745, 18K bracelet, white dial, Roman numerals, blue steel hands, 25 mm case diameter, deployment buckle, 6-1/4" interior circumference. 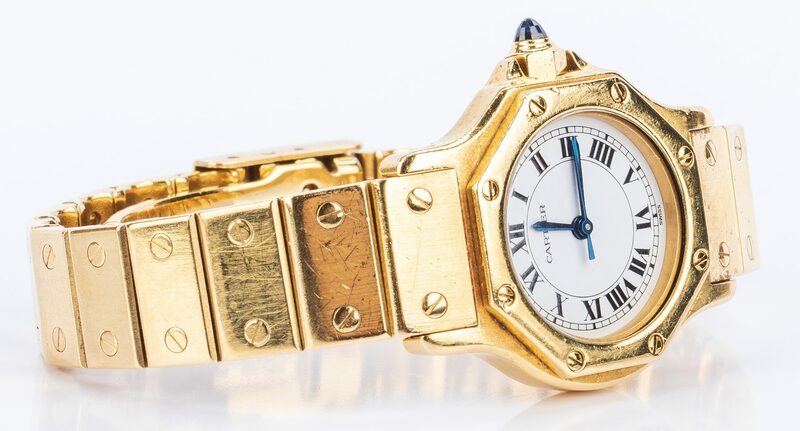 1980. 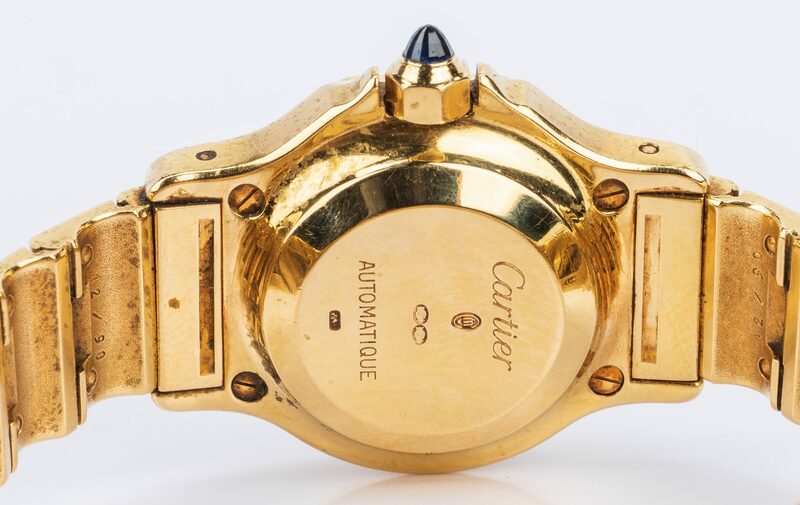 82.6 grams including works and additional links. 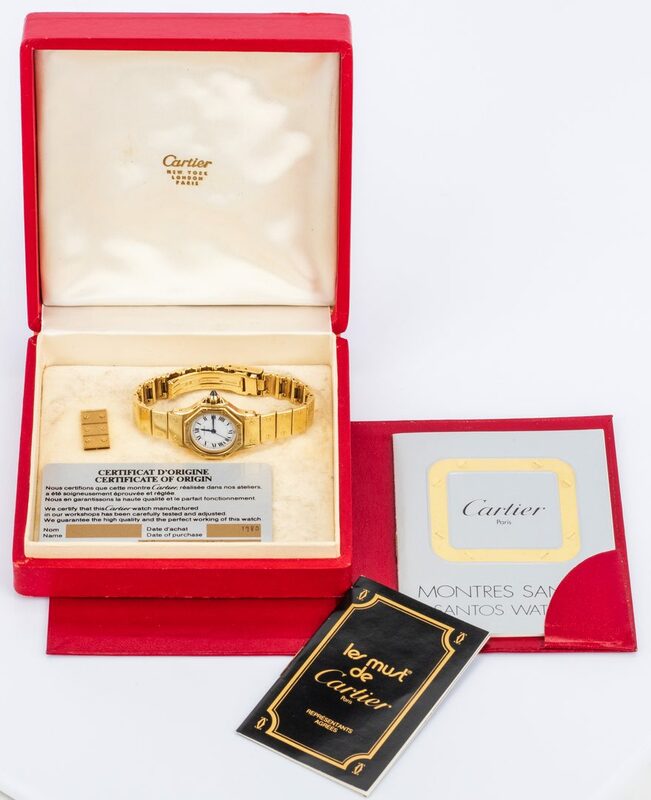 Includes three additional links: 13/16" L. Also includes red Cartier box, possibly not original to watch, and paperwork with lifetime guarantee for this watch. 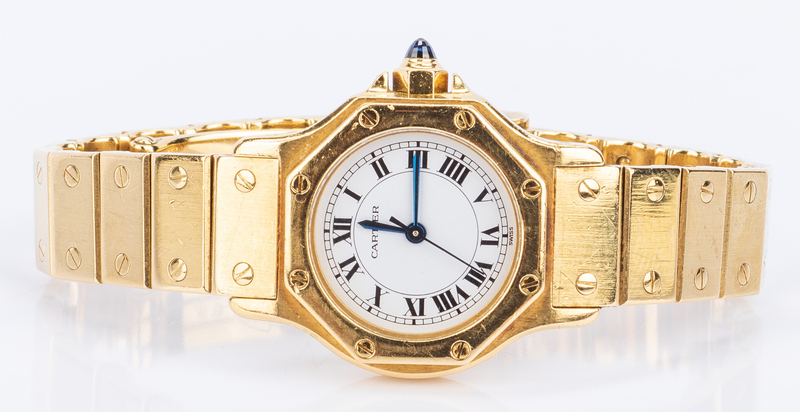 Provenance: From the collection of a private estate, Knoxville, TN. 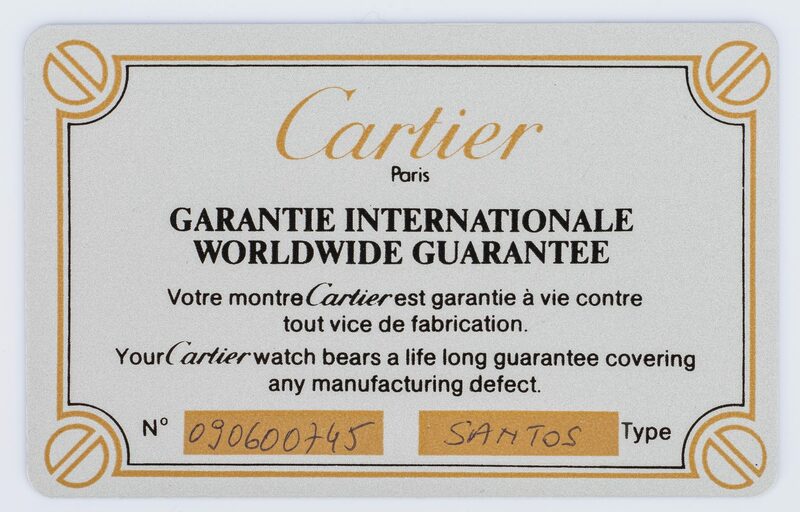 CONDITION: Watch running at time of inspection. Light surface wear and some surface grime.